Canva is the most simple tool which makes the designing process easy. The professionally designed graphics that are existing, dragging, dropping of the images and text made the social media marketers, bloggers, soloprenuers perform the business easily. Images can really help the people to visually communicate on social media channels. Not only for them, but canva will make social life easier for you to enhance your presence in social media channels . 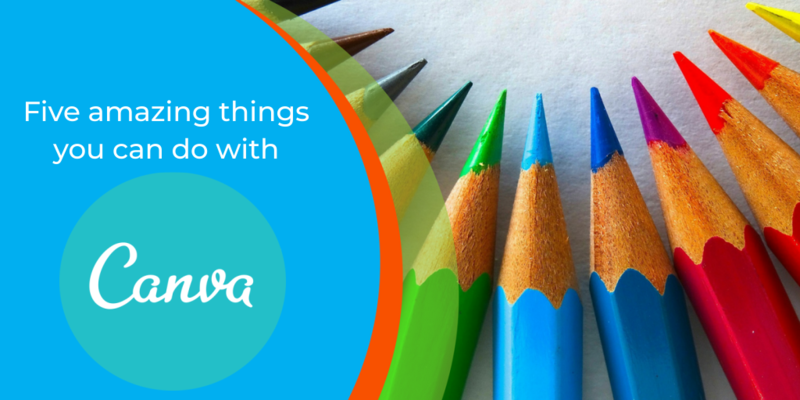 Here are the ways you can do with Canva. Changing the Facebook cover picture is not an easy task. Sometimes your picture turns to be too small and sometimes too large and doesn’t fit in properly. With Canva there would be no worries of cropping the picture because it comes with the exact dimensions when you choose as per the categories. If you are maintaining a page on Facebook or any blog, you need not actually run to a designer every time for every simple design. The biggest thing about canvas is making the users to apply their visual assets quickly and consistently. You can design anything ranging from the logo, cover post, regular post and change the colours. You can actually boost your social media presence. You can actually have the idea of what to post or what not to based on the channel. It might be the same post you want to post it on Facebook, Instagram, Pinterest, the only thing you need to do is just resize and you’re done! There are many apps where you can actually click and earn. However, I am pretty sure that only a few of you knew this. You can also take advantage of Canva to generate extra money. wondering how? If you are a photographer or illustrator and want to earn extra money, you can submit your works to Canva. All paid contents displayed in Canva are coming from contributors. When you actually want to create something which popped up in your mind but you are unaware of what design will opt for it! Canva will help you with this as there are many pre-designed images available. You might be a great writer and a blogger and when you have the thought of publishing a book, finding the designer who actually does the cover page that matches your thought is not so easy. Content is obviously the king which is inside, but the outside part remains unattended, a cover picture is something which is really important because most of the people would be judging the book only by its cover. When you really like the food of a restaurant or any other institute, then writing a review, making an image with simple words would do a great job. It makes them feel privileged and makes you get recognized. Feeling excited? Ready to get started? Head over to Digital Nest’s summer workshop, we will train the aspects of Digital Marketing and provide the opportunities to learn work and earn on different aspects.